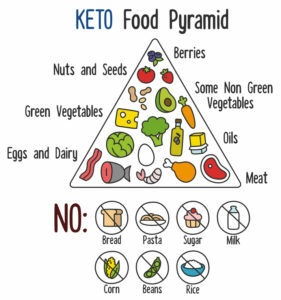 Is the ketogenic diet—a.k.a. "keto diet"—simply a fat-burning fad, here today and gone tomorrow? Or does research support its claimed health benefits? Discover the truth here. The keto diet goes heavy on fats and proteins, light on carbs. 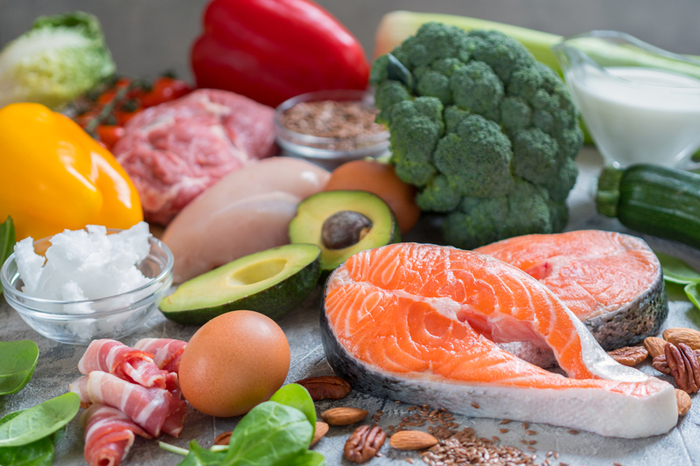 First things first—what is the keto diet? 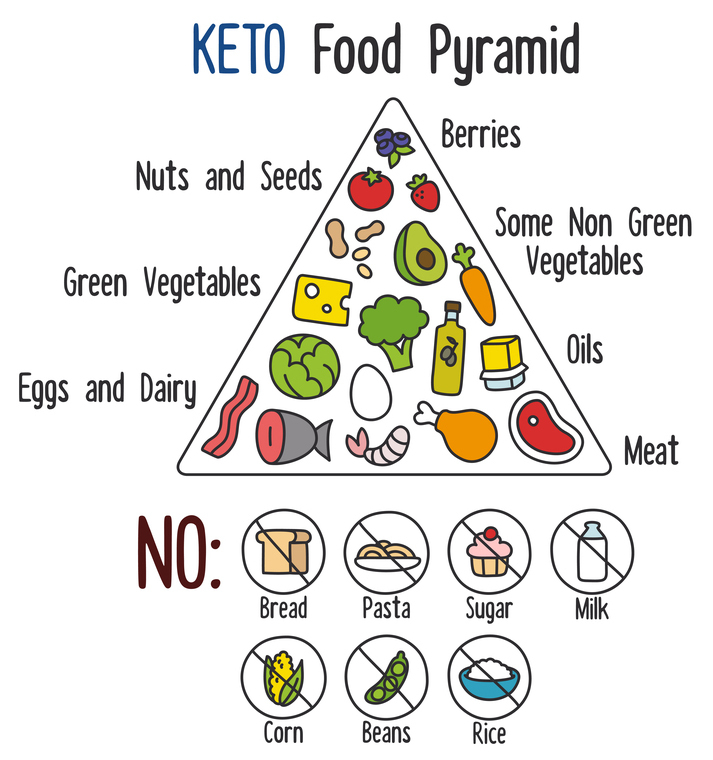 The ketogenic diet is a high-fat, very-low-carb diet plan. The goal of the diet is to reach a “ketosis” state. The more restrictive you are on your carbohydrates (less than 15g per day), the faster you will enter ketosis. Once in this state, rapid weight loss begins. Research does indicate that the ketogenic diet is most effective in weight loss by reducing visceral (body) fat. Within the mitochondria of every cell, either glucose (carbohydrates) or fatty acids are metabolized to form the energy molecules, ATP (Adenosine Triphosphate). 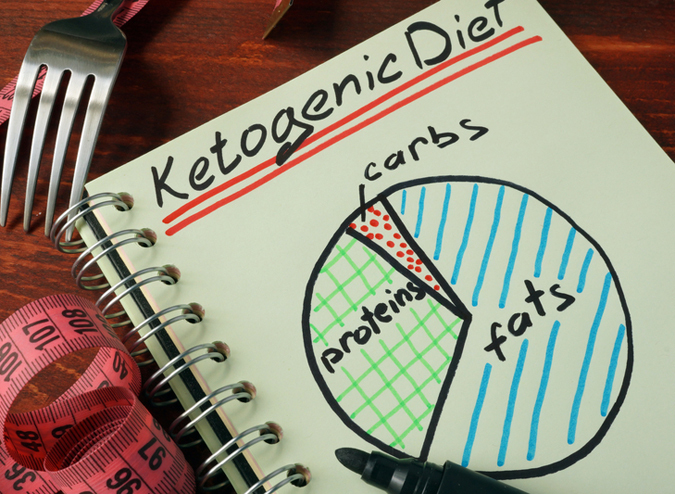 The object of a ketogenic diet is to force the body into a glycogen-deprived state, referred to as ketosis. Since the body does not have enough glucose needed for energy, the metabolic process of ketosis ensues: The body begins to mimic a “starvation” state, where it burns stored fats for energy. This leads to the build-up of ketones within the body. The results? Ketones are able to generate greater amounts of energy per molecule than glucose. Therefore, the ketones create a much more sustainable energy source for the body and do not cause the blood sugar spikes that glucose causes. Aside from the weight-loss potential, the keto diet, according to research, offers the following health benefits. Suppresses the hunger hormone, ghrelin. Typical diet patterns lead to increased hunger and reduced feelings of fullness due to an increase in the hormone, ghrelin. The ketogenic diet does not increase ghrelin levels, which means the body can “mimic” a starvation state, but you don’t actually feel hungry. Controls glucose and reduces diabetic symptoms. In a randomized study of overweight adults with type 2 diabetes, the participants were divided into two groups. The first group followed a 32-week ketogenic diet program while the second group followed the conventional low-fat, diabetes diet plan. At the end of the study, the ketogenic diet group improved their glycemic control and lost more weight than the other group. The research showed that the ketogenic diet improved the participants’ blood glucose levels while also reducing the need for insulin. Reduces mitochondrial free radial production, which decreases oxidative stress. Research demonstrates that the ketogenic diet reduces free radical levels in the brain. Furthermore, studies in cardiac tissue have suggested that ketones reduce oxidative stress, a pathogenic process implicated in many disorders ranging from atherosclerosis (plaque in the arteries) to other diseases more specific to the nervous system. Even though the ketogenic diet has been shown to improve many chronic illnesses, the diet is contraindicated in people who are taking certain medications—blood pressure medications, for example, or antidepressant drugs. Also, people who take diabetic medications such as insulin should strictly monitor for sudden drops in blood sugar levels while following the keto diet. 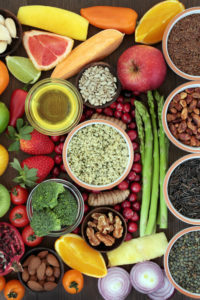 Additionally, people with gallbladder disease, pancreatic insufficiency, a history of kidney stones, or a history of anorexia should talk with their doctor regarding the safety of a ketogenic diet program. Last, women who are pregnant or breastfeeding require higher protein intake and should adjust the ketogenic diet plan to meet this macronutrient need. All of this being said, don’t let these cautionary statements stop you from beginning a research-proven weight-loss program involving the ketogenic diet. Being overweight or obese can be far more damaging to your health, so talk to your doctor about beginning the keto diet program today. Avoli, M. (2012). Herbert H. Jasper and the Basic Mechanisms of the Epilepsies. Jaspers Basic Mechanisms of the Epilepsies, 12-23. doi:10.1093/med/9780199746545.003.0002. Wolver, S., Konjeti, V. R., Carbone, S., Abbate, A., & Puri, P. (2017). Successful Weight Loss with Low Carbohydrate Ketogenic Diet (LCKD) Significantly Reduced Visceral Fat and Increased Fat Free Mass in Obese. Gastroenterology,152(5). doi:10.1016/s0016-5085(17)32870-6. Sai Krishna G et al. Ketogenic Diet in the Management of Diabetes. Indo American Journal of Pharmaceutical Research.2017:7(06). J Med Internet Res. 2017 Feb; 19(2): e36. Newman, J. C., Covarrubias, A. J., Zhao, M., Yu, X., Gut, P., Ng, C., . . . Verdin, E. (2017). Ketogenic Diet Reduces Midlife Mortality and Improves Memory in Aging Mice. Cell Metabolism, 26(3). doi:10.1016/j.cmet.2017.08.004. Neuroscience. 2007 Mar 2; 145(1): 256–264. 2 diabetes, aging, alzheimer, anorexia, antidepressant, antidepressant drugs, atherosclerosis, blood glucose levels, blood pressure, blood pressure medications, blood sugar, blood sugar levels, brain, breastfeeding, coconut oil, dairy, dementia, dementia stages, diabetes, diabetic, diet, diet food, fish oil, food, food pyramid, gallbladder, gallbladder disease, gastroenterology, ghrelin, glucose, glucose levels, health, hormone, insulin, keto diet, ketogenic, ketogenic diet, ketones, ketosis, kidney stones, low carb diet, memory, metabolism, mitochondria, mortality, nuts, obesity, oxidative stress, protein, stress, stress research, sugar, sugar levels, type 2 diabetes, vegetables, weight loss plan. Why not have a Registered Dietitian Nutritionist review the keto diet rather than a RN? Why the caution for people on antidepressants? I’ve bedn on keto since Apry! I love it! Only praise I’ve noticed my hair is falling out! Have you ever heard of that? Why is cheese allowed on a keto diet but milk is not?